Just imagine opening your freezer door and gently pulling out a spiked pint of creamy, smooth vanilla bean ice cream punctuated with chunks of chocolate truffles and finished off with a spicy bourbon swirl. 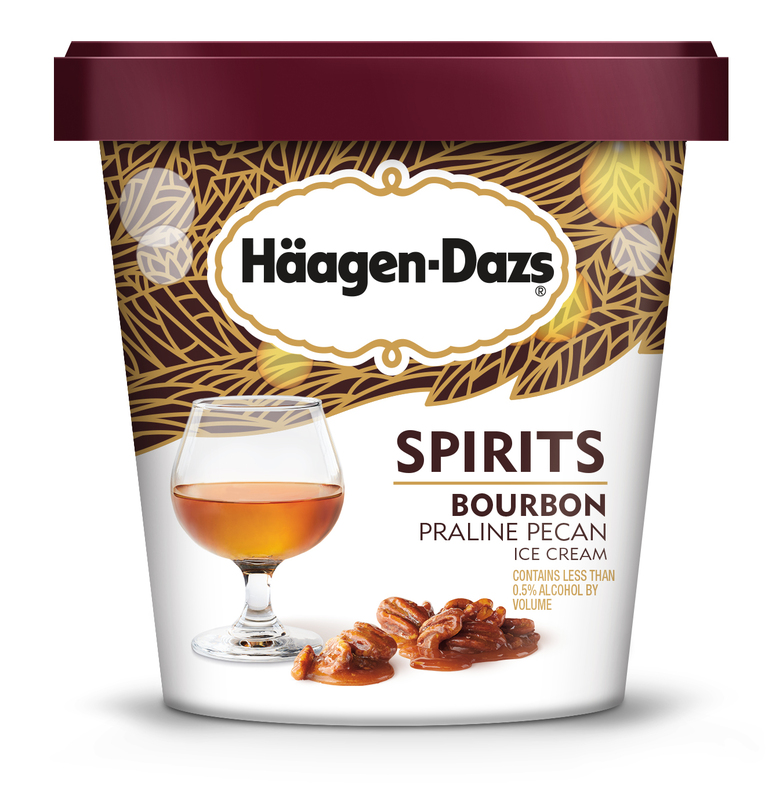 Thanks to Häagen-Dazs, this decadent dream will soon become reality. 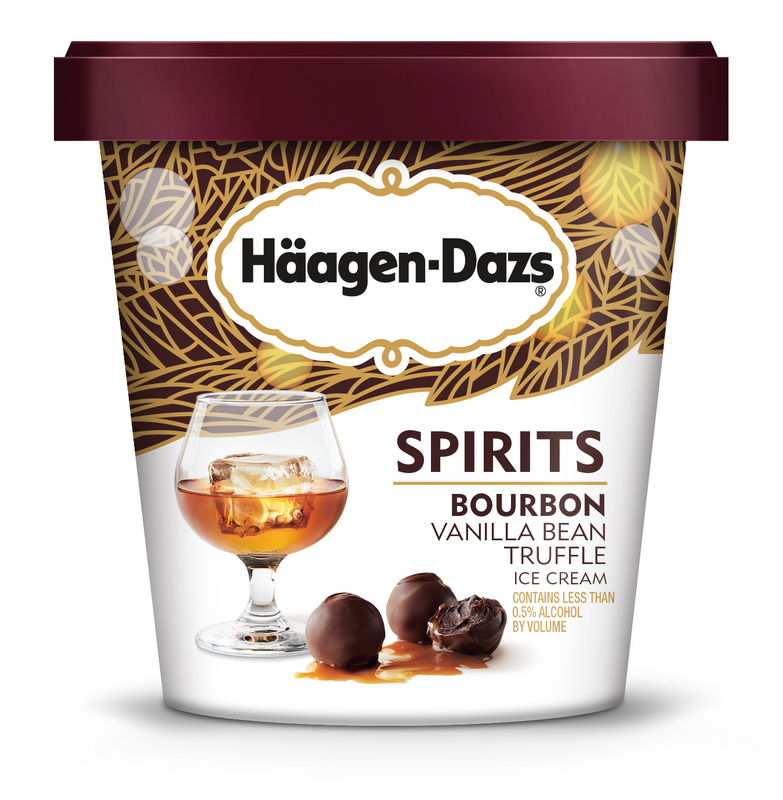 Häagen-Dazs is rolling out its brand-new Spirits collection to grocery stores nationwide. The collection includes seven irresistible flavors, including a nondairy option. Let’s start with the Irish Cream Brownie, an Irish cream-infused ice cream rich with chocolate brownie pieces and a fudge swirl. 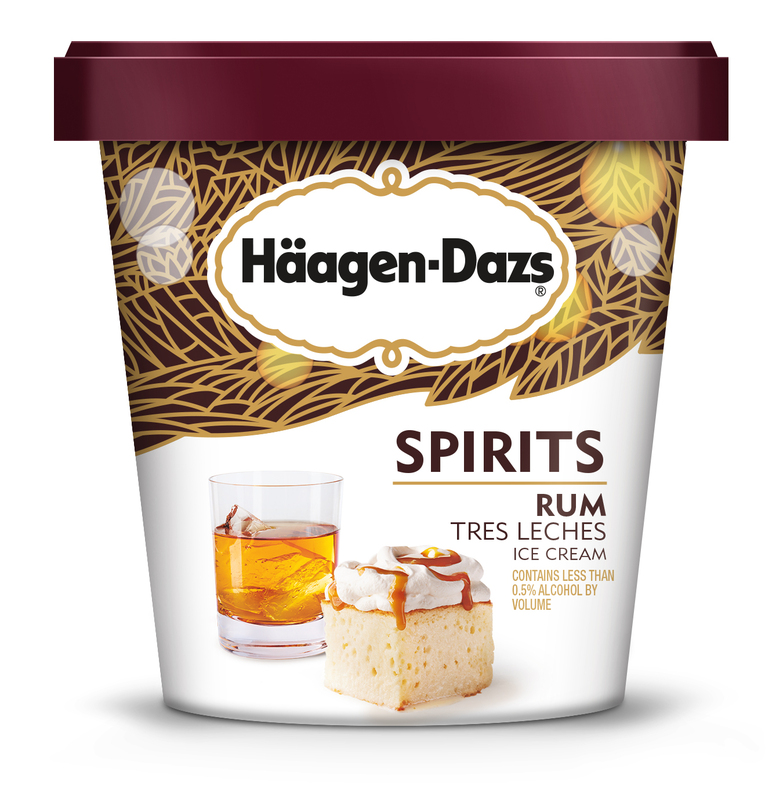 Next, the Latin American-inspired Rum Tres Leches Ice Cream flavor is infused with white rum and has thick ribbons of dulce de leche and tres leches cake. The Bourbon Vanilla Bean Truffle is as classic as it gets, with a spicy bourbon swirl and chunks of chocolate truffles. 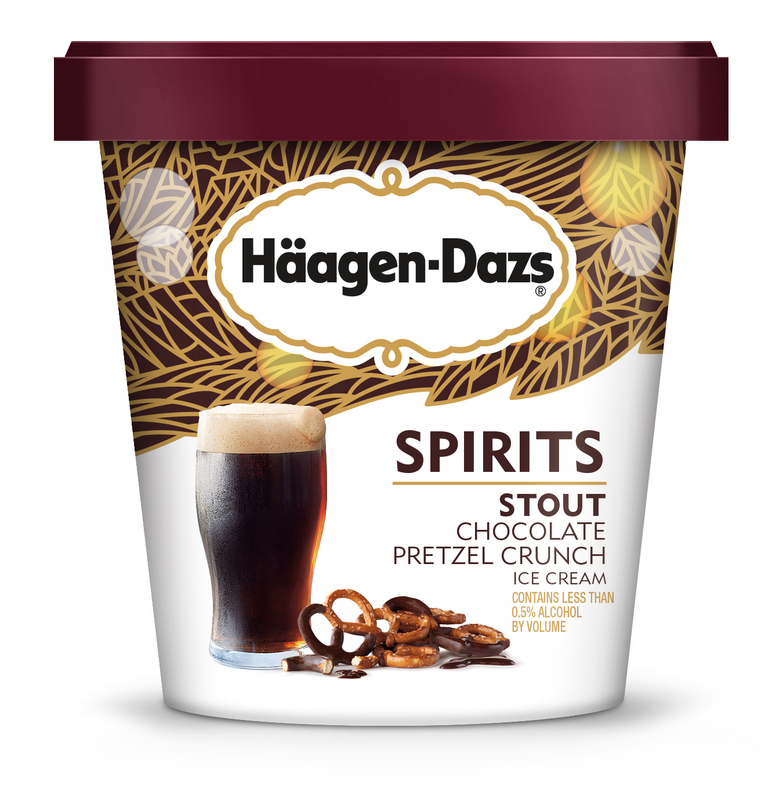 The Stout Chocolate Pretzel Crunch has “notes of toasted malt is studded with chocolatey covered pretzels and decadent fudge swirls,” the press release states. Bourbon lovers will want to grab the Bourbon Praline Pecan, which has brown sugar bourbon swirls and crunchy praline pecans. 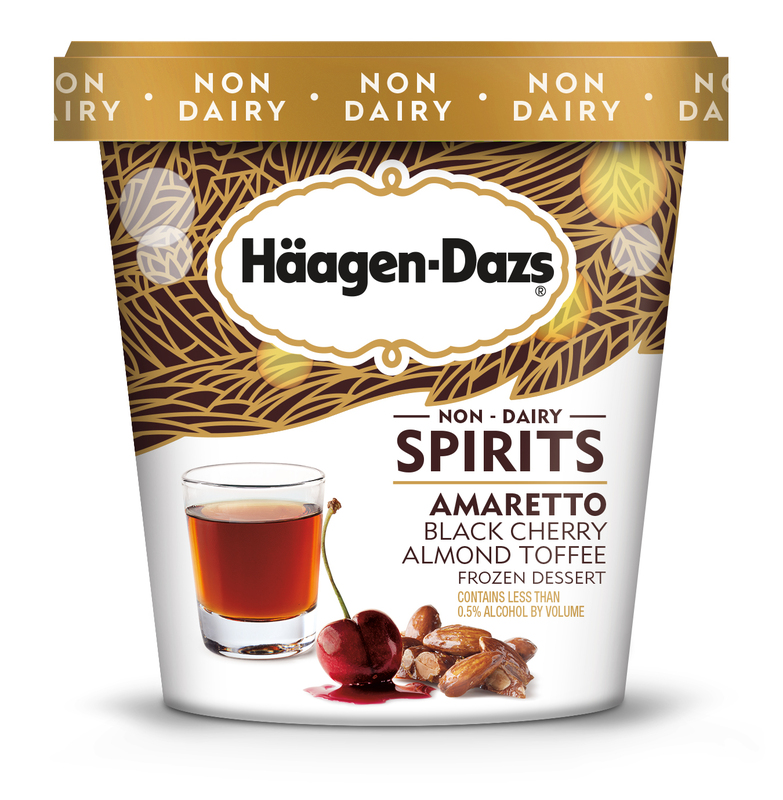 And finally, the nondairy option is an Amaretto Black Cherry Almond Toffee flavor with black cherry jam and almond toffee pieces. 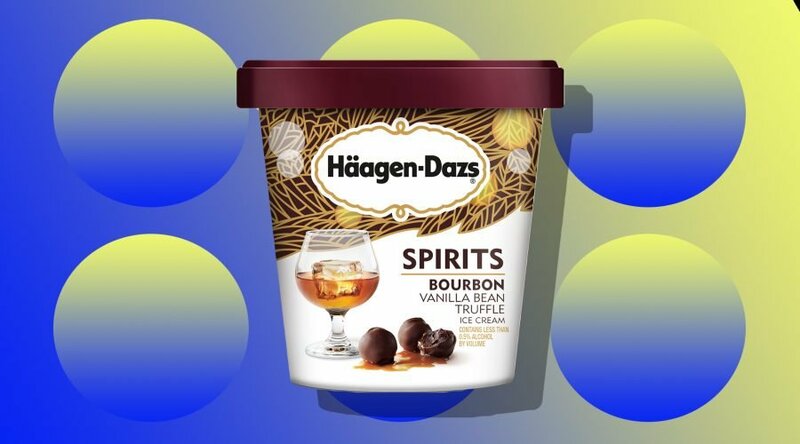 All products in the Häagen-Dazs Spirit collection contain less than 0.5 percent alcohol, so if you “accidentally” devour the entire pint, you’ll be just fine. “The Häagen-Dazs brand is built on a passion for transforming the finest ingredients into extraordinary ice cream experiences,” Jaiven says. The new flavors will be hitting stores in April, but if you’d like a preview, you can pick up a scoop at a Häagen-Dazs shop near you starting March 1. 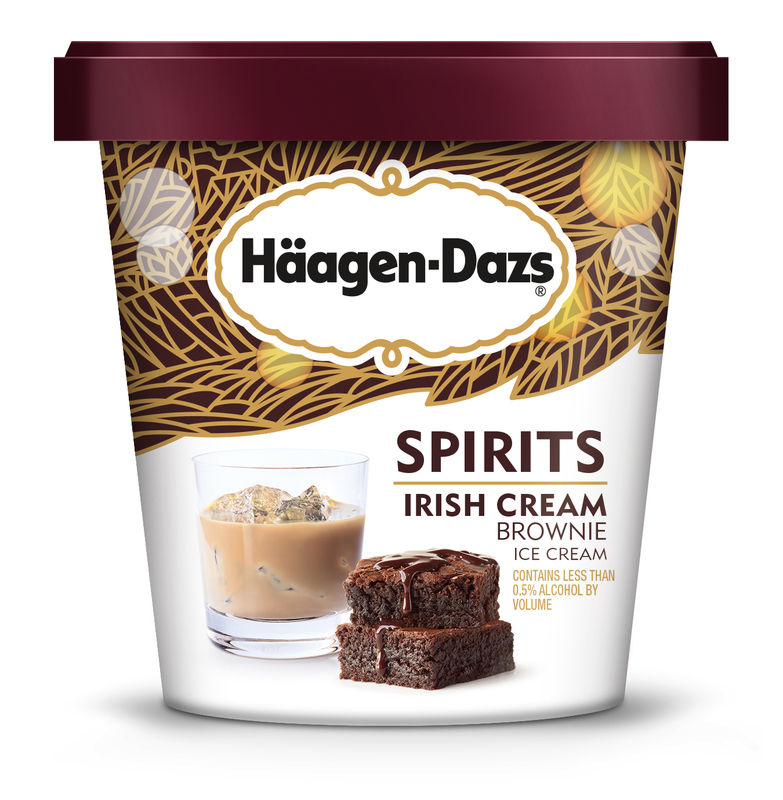 Häagen-Dazs locations will be serving up the Spirit collection flavors in your pick of a cup, cone, sundae or premium milkshake. In the meantime, do yourself a favor and pick up Ben & Jerry’s new Cookie Dough Core ice cream flavor if you haven’t tried it yet. Or if you’re in Indiana, there’s always McDonald’s Twix McFlurry, which made a small comeback.